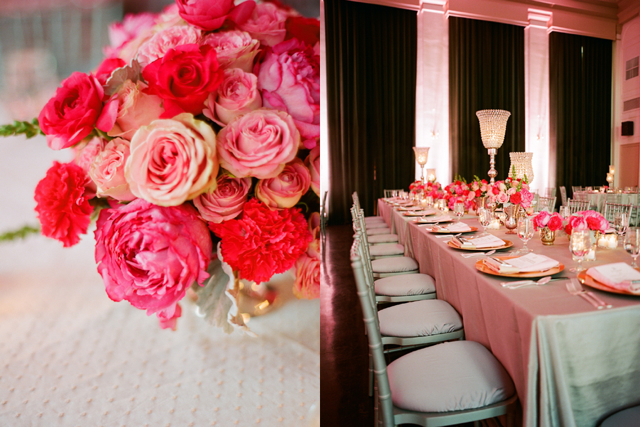 Last Thanksgiving I had the pleasure of designing the most lovely of pink weddings. 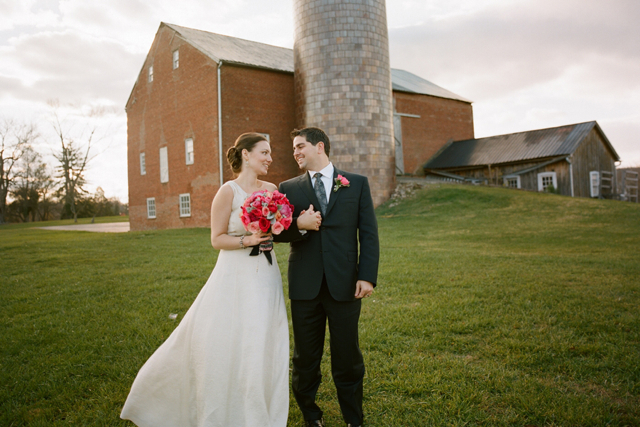 Lara and Steve married in Leesburg and their reception was in Middleburg, this was a gorgeous Loudoun wedding. 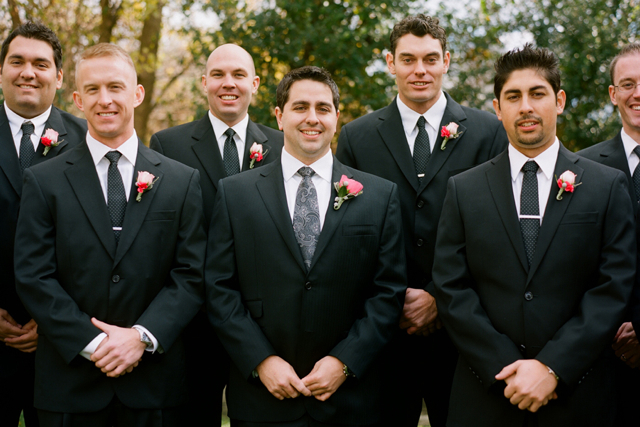 This wedding was also featured on the Washingtonian Weddings Blog and you will want to check out the feature to see additional photos and inspiration. 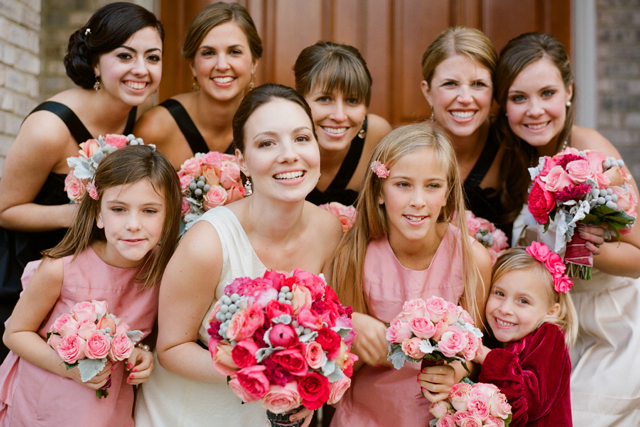 The bridal bouquet was created with several types of hot pink cabbage roses, medium pink roses and then an antique pink rose. 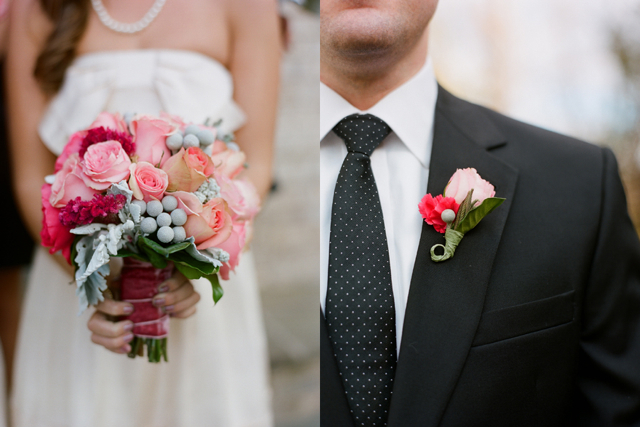 Silver dusty miller and silver brunia were added into the bouquet. 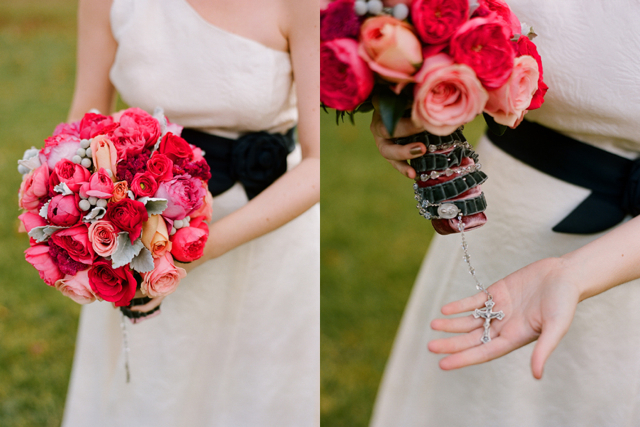 We added a rosary from the family to the bouquet. 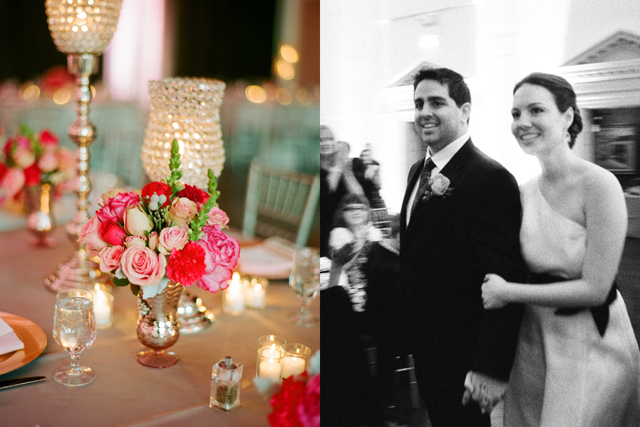 It’s been really hard to keep these images a secret for almost a year but giving them to you today is so much fun. 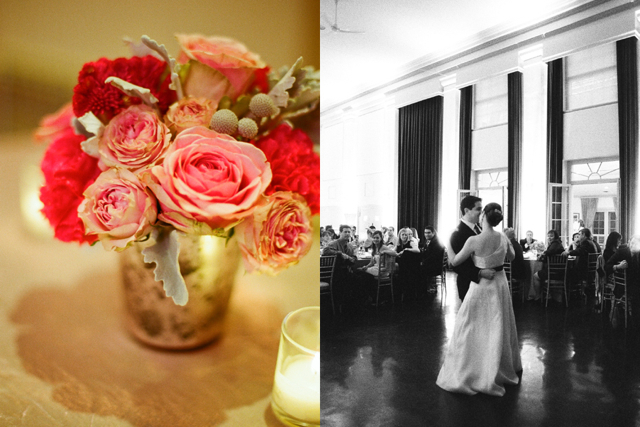 Many thanks to the incredible Kate Headley who photographed the wedding and to Jamie and Lisa who were the event designers and planners. 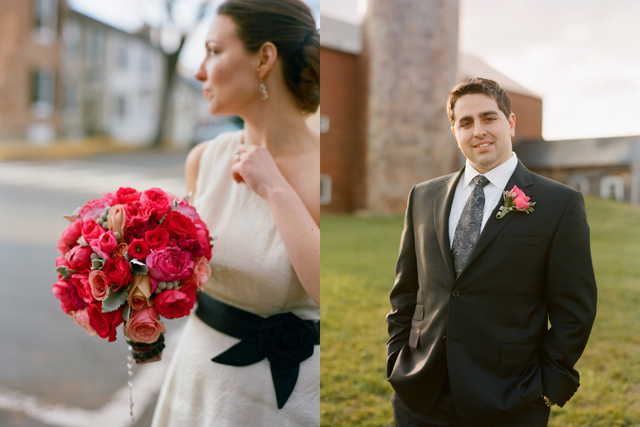 I loved working on this wedding, and finally I can say… happy married life to Steve and Lara!!!! 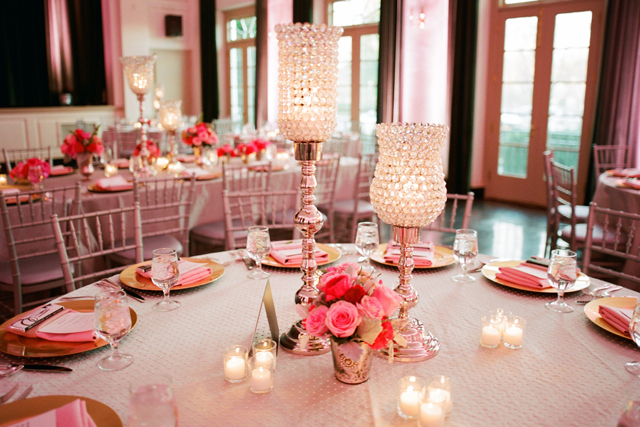 Red / magenta / fuchsia is my favorite thing to combine with the silver brunia – I LOVE this color combination! thanks for commenting Kate we adore your work!!!!!! !